What tends to happen when sales are low, business slows down, and the company profits are shrinking? In many cases, the business owner will decide that layoffs are inevitable and the only way for the company to survive the economic downfall. Therefore, he/she hands out 40 pink slips and business continues on as usual. Right? Well, not exactly. Before making the decision to layoff a number of employees, there are several important issues to keep in mind. First off, consider the fear created by layoffs. What will a drastic layoff do to the “surviving” employees’ moral and, in effect, performance? Chances are, the remaining employees will live in constant fear that their job could be eliminated on any given day. They may become depressed to see the hardships that their old coworkers and even friends are now facing. Fearing more layoffs or even a business closure, employee morale will decrease. This will lead to decreased performance and, in turn, affect your business and sales. Remaining employees may also go into “survivor” mode, updating their resume and searching for a new job. In fear, they may take a job offer elsewhere. You have now lost one (or most likely several) valuable employee(s). In order to replace them, you will now need to spend time and money hiring and training a less experienced worker. While your company may have cut 40 workers, chances are you didn’t cut the job and workload. Therefore, the remaining employees are now overworked, exhausted, and paranoid. Not exactly the ideal combination for a successful business. Secondly, remember that there are hidden costs associated with layoffs. 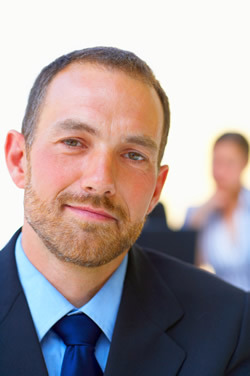 Consider that you may need to offer outplacement services for the terminated employees. These services, ranging from career counseling to advice, are offered to help the employee in the job search. The direct cost of offering outplacement services could range anywhere from several hundred to several thousand dollars. For simplicity sake, let’s use an example of $1,000 in outplacement services per each laid off employee. This totals up to a direct cost of $40,000 dollars for those 40 employees. Another direct cost associated with layoffs is a severance pay. The company may offer one to four weeks worth of pay per each year of employment, with a cap off at a certain amount. Therefore, if an employee is making $1,000 per week for the past 10 years, the employer may end up paying them $10,000 or more. It is important to note that unless a contract with severance pay stipulations was signed, the employer is not legally required to offer severance pay. However, it may be in the best interest of the employer to offer it. It is not only a kindness offered to the employee who will now enter a struggling job market, but it is also viewed highly by the remaining employees. Also, employers can quickly find themselves in messy legal situations should they not follow the federal WARN (Work Adjustment and Retraining Notification) Act. Thirdly, consider the negative implications associated with a layoff. How are your loyal customers going to react if you lay off an employee that they have directly dealt with for ten years? Chances are the public and your customers will not view the layoff very agreeably. The customer may consider your long term success and begin looking for another company to do business with. If the customer felt the layoff was unjust and unfair, they will turn their business elsewhere. Customers do not want to work with an unkind business. Layoffs can directly affect customer retention. Fourthly, consider the rehiring costs should your business pick up. Most likely, you will not find a new employee to replace the value, experience, and expertise of the terminated one. You will be left retraining employees that may take years to reach the previous employee’s performance levels. Most importantly, remember that layoffs are a short term solution. Before implementing a mass layoff, consider the effects on the terminated employees, the remaining employees, your publicity, hidden costs, and even your customer retention. Often times there are other places that the budget can be cut in order to keep experienced employees at your business and the overall morale and performance up. Sozo Firm helps startup companies, small to mid-sized businesses & nonprofit organizations thrive through developing and implementing business optimization strategies. Our efficiency consulting addresses business processes, customer service, employees, marketing, public relations, and communication. Our internet strategy consulting addresses website usability, reputation management, social media, and internet marketing. Contact our senior consultant, Andrew Jensen, at 800.460.SOZO to learn how we can serve you.